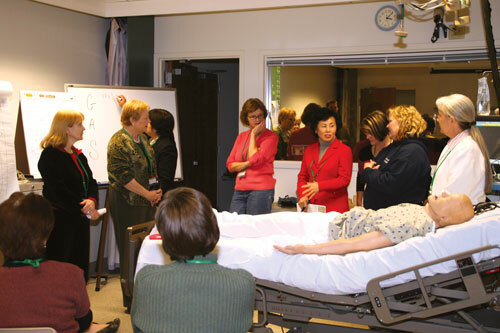 This 3-day internationally renowned program, created in collaborative effort between WISER at the University of Pittsburgh and the Gordon Center for Research in Medical Education at the University of Miami, is designed as an introduction to fundamental skills and abilities for delivering simulation-based healthcare education through a variety of techniques and technologies. The program emphasizes hands-on activities and active participation to maximize simulation-based instruction skill acquisition. Class group sizes are kept small to allow for maximum participation. The primary audience for this course are healthcare educators wishing to improve their skills as instructors in simulation education.